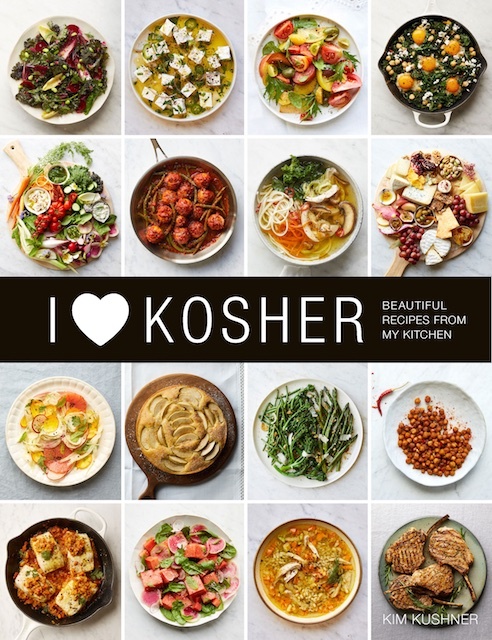 Whether you’re planning to cook for the Passover holiday or considering just the right gift to bring to your Seder hosts, Kim Kushner’s latest cookbook and lifestyles book, I Heart Kosher: Beautiful Recipes from my Kitchen, would make an inspiring gift for all home cooks. Enter to win in our cookbook giveaway and you’ll have a chance to nab one free copy! For more on why we heart this book so much, scroll to our previous post or click here. You may enter by leaving a comment below. Please know that there will be a delay before your comment appears. USA mailing addresses, only, please (and sorry). What is your favorite element of the Passover seder and why? To gain more entries, respond to our posts on other platforms (and be sure we are friends there). You’ll find us on instagram @kosherlikeme and on facebook here. Contest runs April 3, 2019- April 7, 2019 at 12n. Please enter with an email address that you check frequently. We’ll notify the winner and send her/his prize out so that it’s received before the holiday begins. Click here to purchase a copy if you want to be sure to have this cookbook before the holiday begins. I love listening to the new things my kids learned in school and how excited they are to share it at the seder. My favorite part of the Seder is my homemade Brisket! I actually love the chaos of the extended family being together! The wine. Pesach Seders are hard work. Wine is a great help in relaxing. My favorite part is getting all my grown-up “kids” (including their significant others) all together for the Seder. There have been years that they were literally scattered all over the world. Now only 1 is in a different time zone. I love the warmth of family both present and past I feel during our seders. We were non-observant until a few years ago (going on 36 yrs of marriage), I find peace and such a happiness sitting at a seder together. My grandfather always used to say after Eliyahu- go in good health, and come back next year ( in Yiddish) it’s a tradition I carry in with my own kids. Would love to try some recipes from the book. I love sitting down with friends and family to this Seder and remembering the ones from the past. My daughter made a play about the Passover story and each person takes a part and we have puppets for the plagues, etc..
Love being with the family. We live across the country from them, so it is great spending time together. I love when we all finally sit down to the beautifully decorated Seder table. No more fussing or running around. Can’t wait to incorporate some of these recipes for the coming holiday!!!! Love learning something new every year while reading through the Haggadah. I love listening to my kids talk about what learned in school and all the singing. My favorite part of the Seder is that first bite of matzah! I love the l’dor v’dor. We have been reading the Haggadah, discussing the Passover story, celebrating our escape from slavery in every generation, and if we are lucky, it will continue into the next generations. The best part is seeing and tasting all the results after all the hard work. Food is such a big part of our traditions, and watching the seder table with the whole family is proof that the jewish people will survive. I love having all my kids and grandkids telling the pesach story,each in their way. I also love trying new recipes and making different kind of Charoset that represent the countries Jews live. I *love* hearing the kids singing, but it makes my heart so very very full when the family gathers together. The traditional ashkenazi foods I grew up with, the new versions of an old recipe – I love seeing a table full of food I made and then people I love eating it. I love the family coming together… the food is good, I make lighter main dishes… we enjoy the tradition! I have heard that this is a great cookbook, would love to own it. Pesach has always been about family getting together. Over time the seder guests have changed but the ruach and love remains a constant. Speculating about what the rabbis we’re discussing in Bnai Brak – and what they were eating! My favorite part of the Seder is when my autistic son asks the four questions. Having family around the table. That’s what life is all about. I look forward to being with family. My favorite part is I love hearing what my daughter has learned in school and seeing her school made Haggada. I love all the Seder rituals, getting together with family and friends and singing all the Passover songs and the memories they bring. It’s the tradition that I love the most. Eating certain foods that are only made during Pesach. My Bubba’s egg noodles, homemade Gefiltah Fish. Being with family and watching the family grow. This year my 7 year old granddaughter will be saying the Four Questions – it’s all good. I love hearing the songs we sing together from the Haggadah each year, learning new ones as we incorporate new family, traditional family foods from generations ago with new ones we add, sharing the rich traditions every year and opening up to more as we grow. There’s nothing like a traditional Passover seder…. The day before when we start making 20 or more different kinds of charoset from all over the world. It has been a part of our Seder for years now and it has become one of the many courses of the meal. People look forward to it and ask each year what kinds did we make this year? Lots of fun!! my favorite part is watching my grandchildren sharing their Pesach ‘vorts’, what they learned in school, with the family. Sitting and sharing with family is what it is all about. I like the warmth and closeness of family, laughing, talking, eating and rembering our people with Our history woven in with food, story, and song. Being together and commerating our tribe while teaching the younger ones what is so imporatant to remember! I love having the food I only cook once a year : charoset, roast lamb and fresh matzoh. My favorite part of the Seder is the creative and delicious food! Charoses is my favorite part of the Seder. I especially love our Greek Charoses. both honors memories and forges good things for the future. Thank you! My favorite part of the Seder is the plagues…we always made it fun for our children with plastic animals, origami frogs, cotton balls for the hail, sunglasses for darkness to name a few…now we get to continue the tradition for the grandchildren. I keep Passover very simple and don’t really prepare a seder, keeping mostly to the simple instructions in Torah. But roasted lamb is ALWAYS my favorite! Bitter herbs vary , often whatever I can forage from the yard (dock, chickweed, henbit and such). I love having all the family together and trying new ways to tell the Passover story each year in a creative way. This year it will be a Broadway themed gathering.